The retaining wall was a big part of this construction project. After a year’s delay because of a paperwork oversight, construction started this spring under a $383,692 ODOT contract with HP Civil Inc. of Dallas, Texas, and Salem. The target date for completion was September. 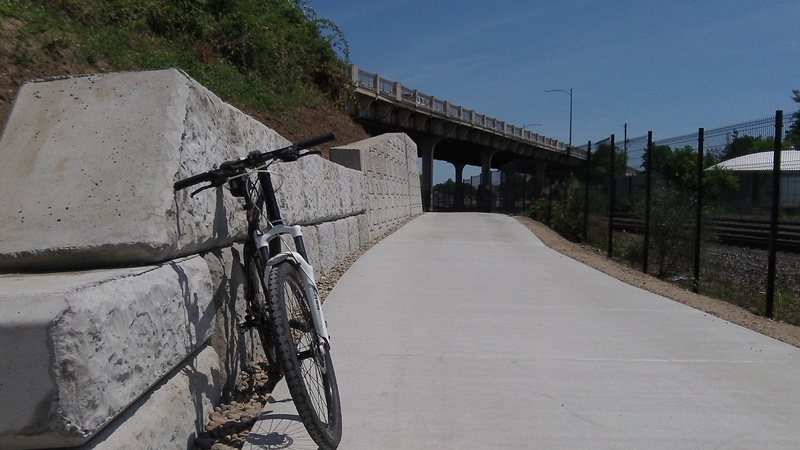 But on Monday I rode along the completed path, which required new retaining walls because it’s cut into the embankment holding up the highway above. I’m no expert, but it looks like an extremely well done job. The word at City Hall was that despite some change orders the job was done within the contract amount. The city’s project manager, Chris Cerklewski, sent word that all work was complete except for the installation of lighting, which is awaiting the delivery of the poles. 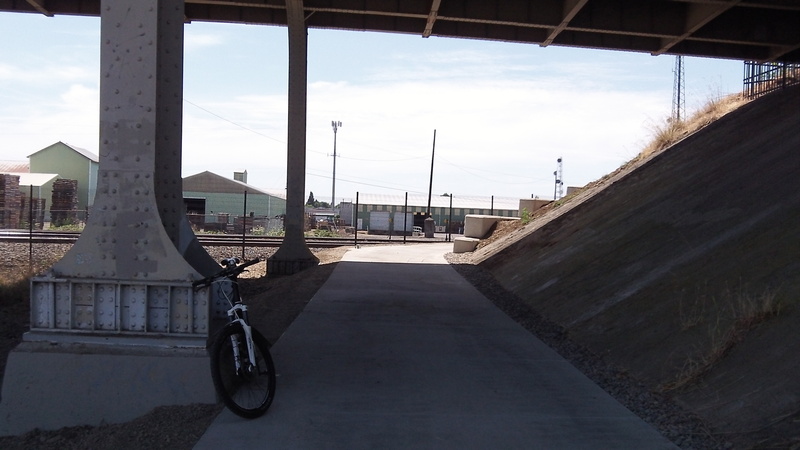 The view from Swanson Park underneath the viaduct. That should be a much safer way to get from one side of the Pacific overpass to the other! I used to take Hill to Queen to Pacific to avoid the overpass on my way to Albany Station.